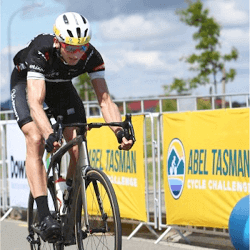 Over 600 riders are set to take part in the first Abel Tasman Cycle Challenge, and George Bennett has stated he would have taken part no matter what. While he has tremendously enjoyed his ambassadorial role for the ATC Challenge, Bennett stated, nothing would have stopped him from entering the race anyway. Bennett made his debut for the Tour de France and Olympic Games this year, enjoys championing his home region, and has been looking for something to fill the void left by the Tour de Vineyards. Bennett has stated that as soon as he heard that the 158-kilometre race, starting and ending at Saxton Field and taking some of his frequently used scenic routes in, he leaped at the chance to lend any assistance he was able to. Bennett has said that the biggest reason he got on board was the opportunity this race had to “grow cycling in the region and get as many people out there [as possible]”. He went on to say that his native region had some of the most beautiful roads in the country, adding that this opinion was once again enforced when he had been training near Kaiteriteri and he was able to take in the “stunning” views once again. Bennett is probably the cyclist with the highest profile to have entered the Abel Tasman Cycle Challenge, although champion rower Hamish Bond of the Olympic Games is also set to ride, but Bennett has insisted that he is glad that the race is catering for so many different cyclists. The Able Tasman Cycle Challenge has a total of 610 riders to have entered, of which 335 are out-of-towners; the youngest is 13-years old; and the oldest is 79, so it is obvious that a broad sector of the cycling public will be represented. 79 of those taking part will be first-time riders as well, and this, Bennett says, is where the beauty of this challenge lies. George Bennett has said that there is absolutely no reason that a cycling challenge cannot cater for this wide a variety of participants, and that his mother; sister and girlfriend were part of teams that were competing in it. The fact that amateurs were taking part would not detract at all from the elite aspect, and having more social strata represented would only have positive consequences at the end of the day. 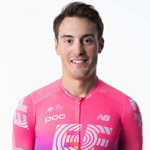 Italian Alberto Bettiol managed to pull off an incredible solo win for the men’s Tour of Flanders being held in Belgium, and claimed his first professional victory of his career. …. 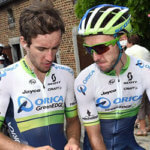 British Simon Yates has claimed his first ever time trial win while participating on stage five of the Paris-Nice just after his twin brother Adam advanced into the race lead …. Shanaze Reade has won her first National Track Championship while six-time Olympic winner Jason Kenny also saw victory despite a problematic error. Kenny, the 2016 Olympic keirin champion, sat up …. 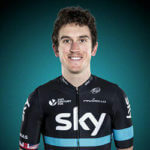 Geraint Thomas has told reporters that the role of leader for Team Sky at this year’s Tour de France will be decided over the next three Alpine days, and after ….